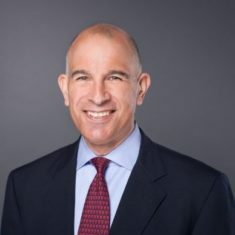 Bill Papp has twenty-five years of asset management, capital markets, and commercial banking / lending experience through various senior roles including at Lehman Brothers, Prudential Securities, Mizuho Securities USA, and the Bank of Boston’s Middle Market Lending Group. Bill is currently focused on Alternative Investments at PENSCO Trust Company through which many investors are invested into Star Mountain Capital funds. Mr. Papp was appointed to the Board of Directors of the Massachusetts Educational Financing Authority (MEFA), a $4.0 Billion 529 Plan, by Governor Mitt Romney in 2004 and reappointed by Governor Deval Patrick in 2011. Over the course of his 11 years at MEFA, he served as Vice Chairman of the Board, Chairman of the Audit Committee and Chairman of the Investment Committee. In addition, Mr. Papp was appointed by Governor William Weld, Governor Paul Cellucci, and Governor Jane Swift to the Massachusetts Finance Advisory Board, The Massachusetts Workforce Training Fund, The Commonwealth Corporation, and the Massachusetts State Workforce Investment Board. Mr. Papp holds a BA in Finance from Michigan State University and later attended The Fletcher School of Law & Diplomacy at Tufts University to earn a Global Master of Arts in International Affairs. As an aligned Senior Advisor based in Boston, Mr. Papp assists Star Mountain Capital with strategic advice and thought leadership to help the firm and its portfolio investments maximize value.